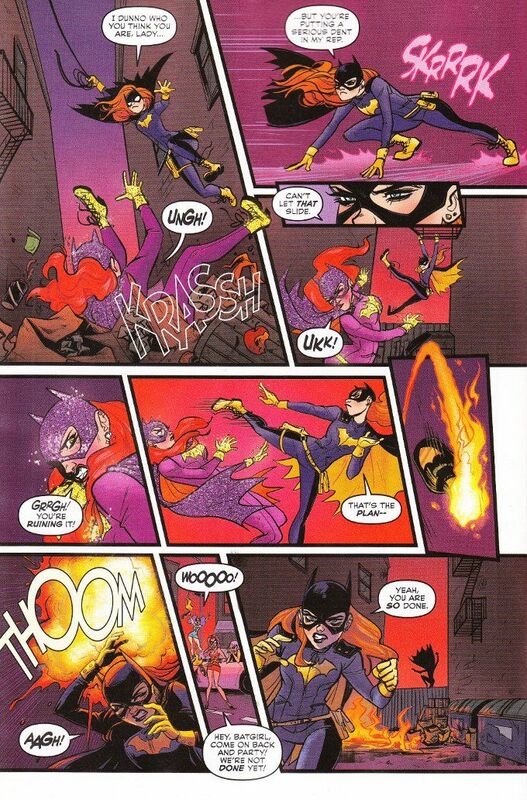 An impostor Batgirl is making Barbara Gordon's life difficult. Bad enough that the faux Dark Knight Damsel has been impersonating her on-line. Now the copycat is helping criminals and posing for sexualized artwork! Worst of all, they seem to know her secret identity! The new direction of this series is starting to grow on me. 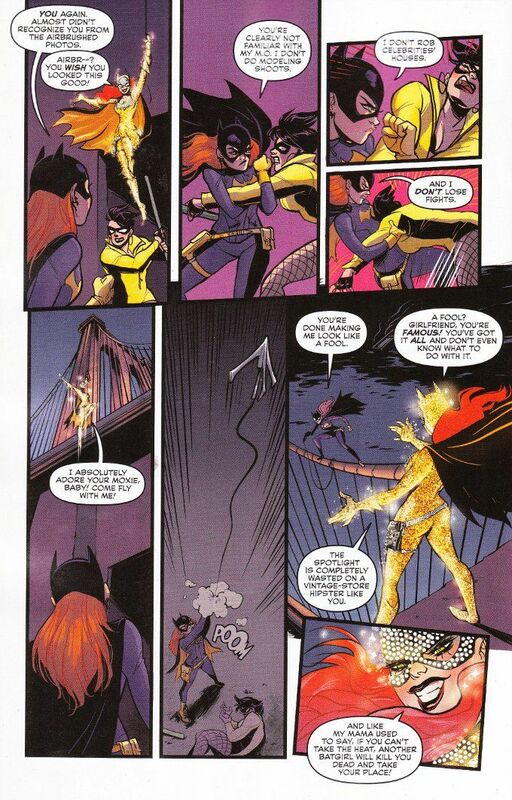 Brazen Gail Simone fanboy that I am, I do miss the old tone of Batgirl. But the book's new attitude is not a bad one, driven as it is by modern trends and selfie culture. Trying to write Barbara Gordon as a college-age woman dealing with the society that real twenty-something women have to cope with is not a bad idea at all and pitting Barbara against an enemy who exemplifies the worst aspects of that culture is a brilliant conceit. The artwork emulates that same level of manic energy and even when the characters are at rest there is a grand sense of motion to everything. I was going to say something about the controversy sparked by this issue. Yet I find that my former Comics Nexus colleague - noted comics expert and LGBT activist Dr. Manolis Vamvounis - has already said everything I wished to say and with far greater authority than I could ever muster. Suffice it to say, I believe that the shock and disbelief expressed by Barbara and the crowds upon the fake-Batgirl's unmasking was honest shock and disbelief and not based upon any kind of prejudice on the part of the creative team.